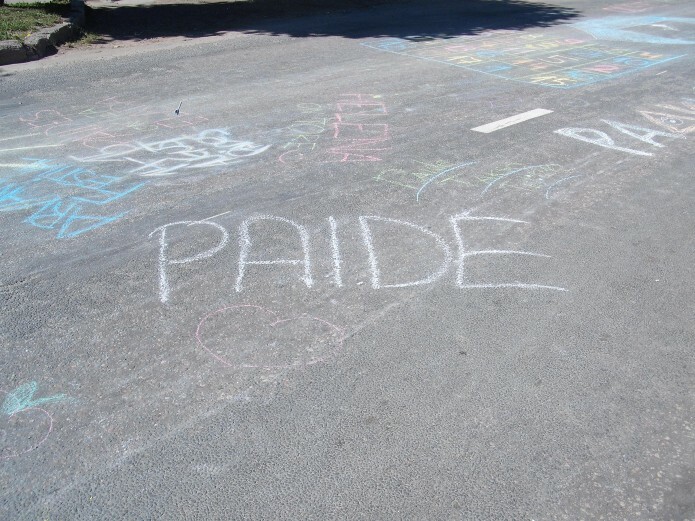 When out last night in Paide, I noticed an unusual thing. Young people, battling in the street. It was a turf war, with the fight being for pride and territory. But it’s not what you think. The battle was on ten different chess and draughts boards. This made me think of my own childhood, and speculate why things have changed so much. Is the Arvamus Festival an example of how, generation-by-generation, we are getting smarter? When I was at school in the 1990s, many teenagers would talk about their summer trips to Ibiza or Ayia Napa, which were a fortnight’s blur of clubbing, alcohol abuse, and possibly a lot more. This was the era of the superclub, Cream and the Ministry of Sound hoovering up customers every Saturday in Liverpool and London respectively, then going on tour to the Balearic Islands to play to an audience dominated by British tourists. I didn’t go to Ibiza with my school friends. Of course, some people were comfortable at home, like I was. But the aim of these trips was to get very, very drunk – and this wasn’t something I was interested in. I was a country boy who enjoyed reading and music – and not played at 100 decibels. I sometimes asked my parents why I wasn’t the “kind of person” who could go, but they just looked at me with that look that says, “one day, you’ll understand”. Now, I do. It seems to me that young Estonians are growing up with so many more positive influences than my school class had. Last night, in the Must Puudel’s party for Arvamus Festival-goers, I saw happy people singing along to obscure pop tunes released in 1984 or ’85, when I was 3 or 4 years old, and they were a long way from being born. This was the kind of music I loved playing – in private, of course (I even got picked-on for buying Duran Duran, Spandau Ballet or Ultravox from the record store when I was a teenager), but now it wasn’t a source of shame for anyone. Indeed, it seemed like a badge of honour to know as much of the music as possible. The knowledge extends to the debates, too. Young people are being thanked for their contribution, being actively praised for their knowledge of complex topics – and more and more people know more and more things, that’s something that’s obvious from asking a few questions, and hearing the different opinions expressed at the Arvamus Festival. I never used to mind being called a “nerd” or a “geek”. Those are terms that just mean someone knows a lot about something. But what’s changed beyond recognition is the way the nerd and the geek are now seen as the intelligent, well-rounded people they always were. So how about it, are we getting smarter by generation? That, like everything else here, is a matter of debate. All I know is, I wish I’d been given this festival when I was 20 or 21. I would have loved every minute, just like I do now.